6 sessions on the river, all coached and coxed by experienced members of the club. 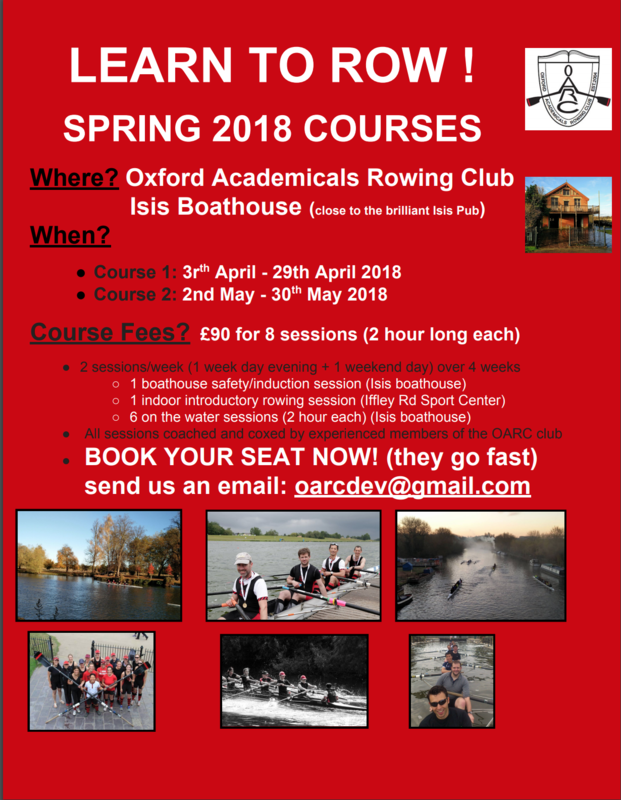 Courses take place on the Isis river in Oxford (just south of the city centre), and all are welcome to participate. Please email oarcdev[at]gmail.com for more information on exact dates/times or to reserve a place. Places are first come first served and will be confirmed after payment has been received.